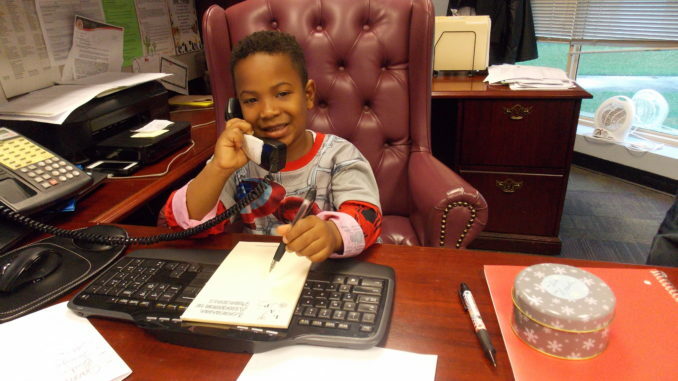 Student Caden Eugene, a kindergarten student in Courtney Kesterman’s class at St. Rose Elementary School as principal for the day. Caden was the top seller in SRE PTO’s fundraiser, earning the opportunity to serve as SRE’s Principal for the Day. Among his many duties, Caden conducted a community morning meeting for the entire student body.